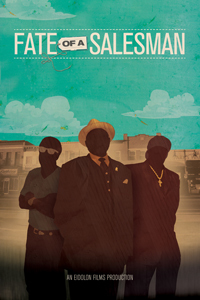 Emmy-nominee Fate of a Salesman is an intimate portrait of a way of life on the verge of disappearing. In its 60th year of business, Men's Fashion Center in Washington, D.C. has come to represent identity, legacy and redemption for salesmen Willie and Steve and owner Jerry. But business has crawled to a halt in the face of a tough economy and changing neighborhood, pushing the store to the verge of closure. Set amidst racks of pin-striped suits and feathered hats—the clothing of a bygone era—the men struggle to redefine themselves as the place with which they have long identified begins to vanish. Five people in a Rust Belt town struggle to reinvent their lives and their dreams in contemporary America. Fringe banking in redlined, post-riot South Central Los Angeles.